iPhone X or iPhone 8 or iPhone 8 Plus? Which Is Better For You? 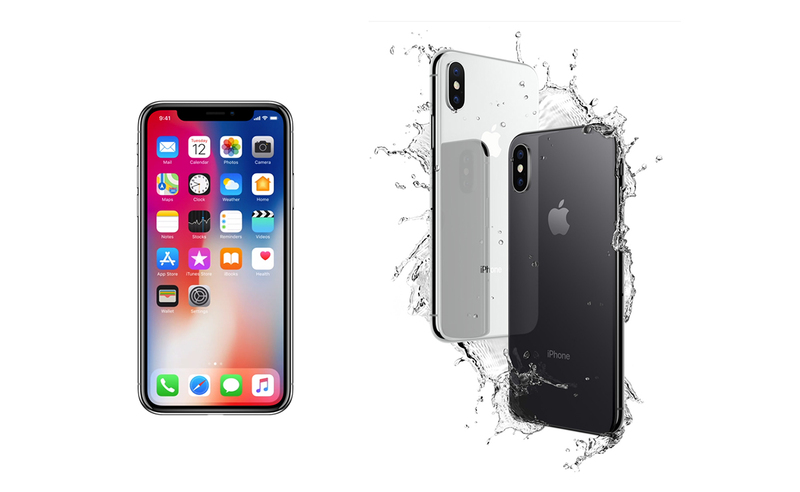 In celebration of the 10th year milestone for iPhone, Apple is spoiling consumers once again with the launch of not two but three iPhones that are all so appealing in their own way. It maybe a hard choice to choose between the new iPhone 8, iPhone 8 Plus and iPhone X. 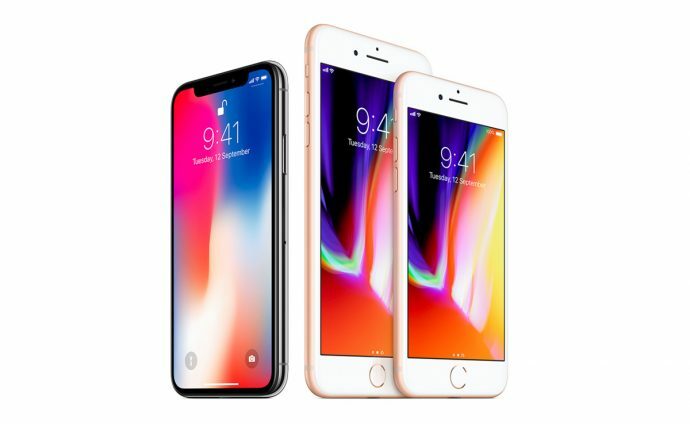 So which one is the better iPhone for you? Here are the features of the new iPhones. The exterior form factor of the new iPhone 8 & 8 Plus are very similar to last year’s iPhone 7 & iPhone 7 Plus. But the iPhone 8 & 8 Plus now come with a beautiful glass back which is made with the most durable glass ever in a smartphone and is water and dust resistant. And it seems like Black may no longer be popular this year, Gold and Silver aerospace-grade aluminium complimented with the new glass back finish just seems more polished and chic compared to the Black. A new Apple-designed image signal processor delivers advanced pixel processing, wide colour capture, faster autofocus in low light and better HDR photos, while a new quad LED True Tone Flash with Slow Sync results in more uniformly lit backgrounds and foregrounds. All this adds up to outstanding photos with vibrant, realistic colours and more detail. The camera can now take 4K video footage at 60fps and Full HD 240fps slow motion to better express those action shots. With dual cameras on the iPhone 8 Plus, you can now use the Portrait Lighting feature that adds lighting over contours of the face. Now you can capture stunning portraits with a shallow depth-of-field effect in five different lighting styles. The new Retina HD displays with the addition of True Tone adjusts the white balance of the display to match the surrounding light for a more natural, paper-like viewing experience. The vibrant wide colour gamut Retina HD display offers the best colour accuracy in the industry. Redesigned stereo speakers are up to 25 percent louder and deliver deeper bass, enabling richer-sounding music, videos and speakerphone calls. The glass back design enables a world-class wireless charging solution. Wireless charging works with the established Qi ecosystem. So it is great that you can charge on most third party wireless charging docks out there in the market. A11 Bionic, the most powerful and smartest chip ever in a smartphone, features a six-core CPU design with two performance cores that are 25 percent faster and four efficiency cores that are 70 percent faster than the A10 Fusion, offering industry-leading performance and energy efficiency. A new, second-generation performance controller can harness all six cores simultaneously, delivering up to 70 percent greater performance for multi-threaded workloads, giving you more power while providing the same great battery life. A11 Bionic also integrates an Apple-designed GPU with a three-core design that delivers up to 30 percent faster graphics performance than the previous generation. All this power enables incredible new machine learning, AR apps and immersive 3D games. 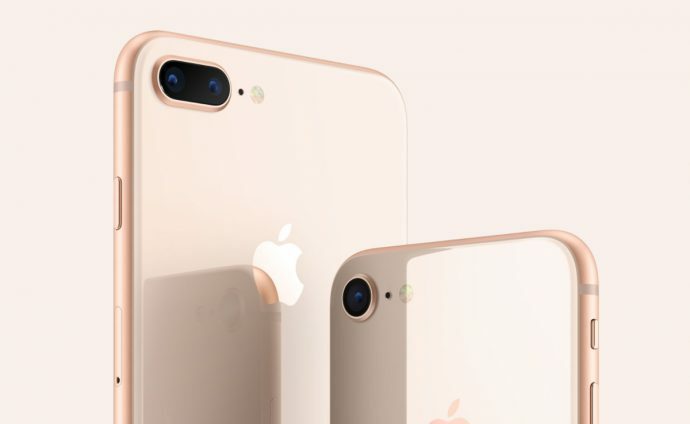 iPhone 8 and iPhone 8 Plus will be available in Singapore in Space Grey, Silver and an all-new Gold finish in increased 64GB and 256GB capacity models on 22 September 2017 with pre-ordering starting from this Friday, 15 September 2017 from Apple.com and Apple Orchard Road and is also available through Apple Authorised Resellers and select carriers. The iPhone 8 will be priced at S$1,148(for 64GB) and S$1,388(for 256GB), while the iPhone 8 Plus will be priced at S$1,308(for 64GB) and S$1,548(for 256GB). 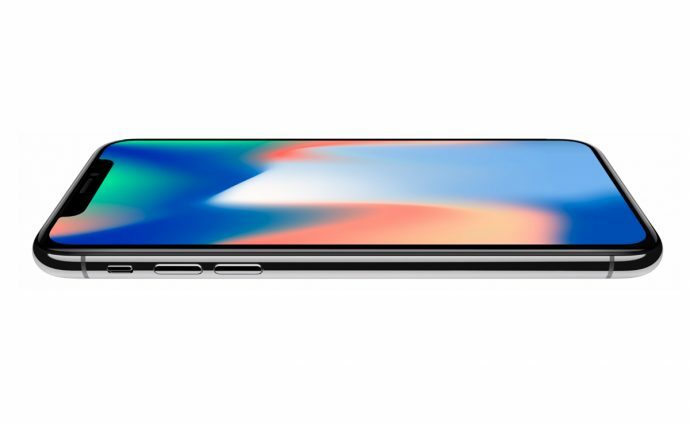 Even though the iPhone X is smaller than the iPhone 8 Plus, the screen size of the iPhone X is still larger than the iPhone 8 Plus at 5.8″ due the stunning edge-to-edge all-screen design. The display even follows the curve of the device, clear to the elegantly rounded corners. Just like the iPhone 8 and 8 Plus, the glass finish is made using a seven-layer colour process for precise hue and opacity, delivering a rich depth of colour with a colour-matched aerospace-grade aluminium bezel, and is water and dust resistant. The new Super Retina Display is also the first OLED display to be used in an iPhone, capable of producing stunning colours, true blacks, a million-to-one contrast ratio and wide colour support with the best system-wide colour management in a smartphone. The HDR display supports Dolby Vision and HDR10, which together make photo and video content look even more amazing. The addition of True Tone dynamically adjusts the white balance of the display to match the surrounding light for a more natural, paper-like viewing experience. Without the Home Button, Apple replace it with new gesture controls which die hard iPhone users may take some time to get used to. Simply swipe up from the bottom to go home from anywhere, swipe down from the top right-hand corner for the control panel. Likewise, Touch ID is now replaced with Face ID which is said to be even more secure than Touch ID for unlocking your phone and using it for Apple Pay transactions. All thanks to the new state-of-the-art TrueDepth camera system made up of a dot projector, infrared camera and flood illuminator, and is powered by A11 Bionic to accurately map and recognise a face. With the help of 7-megapixel TrueDepth camera that enables Face ID, you can now take better selfies with Portrait mode for dazzling selfies with a depth-of-field effect. The dual rear camera on the iPhone X also gets an upgrade with optical image stabilisation on both cameras and an improved ƒ/2.4 aperture on the telephoto camera for better photos and videos. It will also come with the new True Tone Flash, 4k 60fps and Portrait Lighting features that iPhone 8 Plus has. Working with A11 Bionic, the TrueDepth camera captures and analyses over 50 different facial muscle movements, then animates those expressions in a dozen different Animoji, including a panda, unicorn and robot. Available as an iMessage app pre-installed on iPhone X, you can record and send Animoji messages with their voice that can smile, frown and more. Like the iPhone 8 and 8 Plus, the iPhone X will be using the new A11 Bionic processor but it will come with an additional A11 Bionic neural engine designed for specific machine learning algorithms and enables Face ID, Animoji and other features. The iPhone X will also come with wireless charging. iPhone X will be available in Singapore in Black and Silver in 64GB and 256GB capacity models on 3 November 2017 with pre-ordering starting from this 27 October 2017 from Apple.com and Apple Orchard Road and is also available through Apple Authorised Resellers and select carriers. The iPhone X will be priced at S$1,648 for 64GB and S$1,888 for 256GB.